Alien robots have invaded! You must make your way to safety and recapture the cosmic treasure. Maneuver your way through six different mazes. 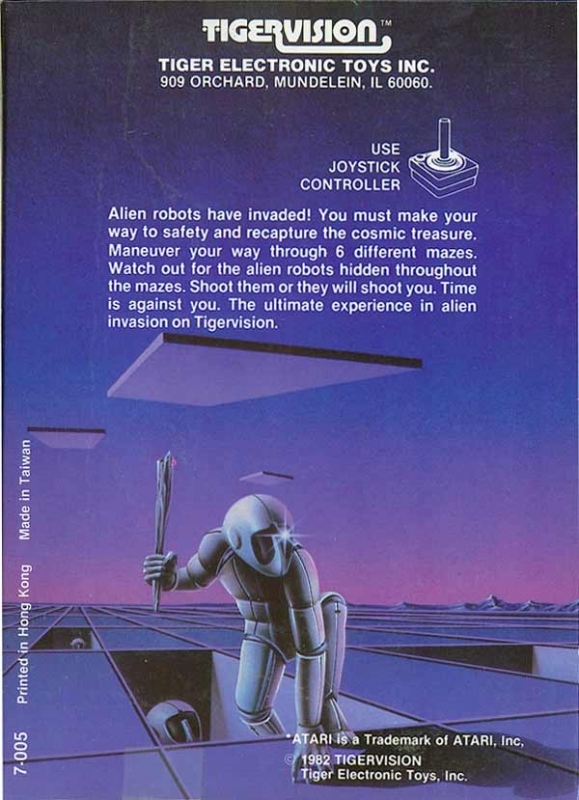 Watch out for the alien robots hidden throughout the mazes. Shoot them or they will shoot you. Time is against you. The ultimate experience in alien invasion on Tigervision.